In the pursuit of projects that are mutually beneficial for businesses and Guinea’s people, the government is strongly focusing on the link between mining operations and the infrastructure necessary for their success. Guinea seeks to create a number of “Growth corridors” around transport routes in order to unlock the growth potential of the Guinean economy, both locally and nationally. The importance of these projects is made clear by the World Bank’s estimate that transportation costs in remote areas can reach 77% of the value of exported goods. Ensure the sharing of existing and future infrastructure to ensure it is used efficiently. 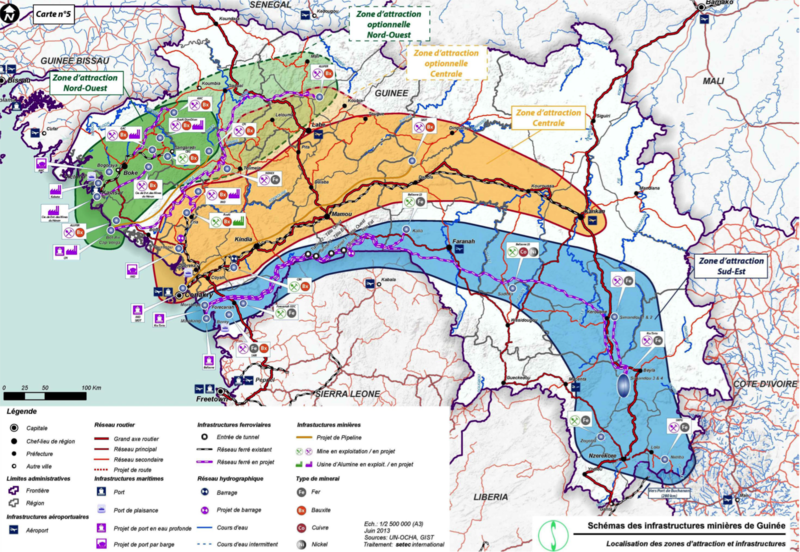 The Southern Growth Corridor: With the future Transguinean railway and the future deepwater port in the prefecture of Forécariah. For the operation of mining projects in remote regions, infrastructure investment can be very important. A portion of the total financing needs for mining projects over the next decade, estimated at $50 billion, will be devoted to the opening up of production areas and the construction of deep water ports to export minerals. In addition to mining, the development of infrastructure will help stimulate growth across the rest of Guinea’s economy. 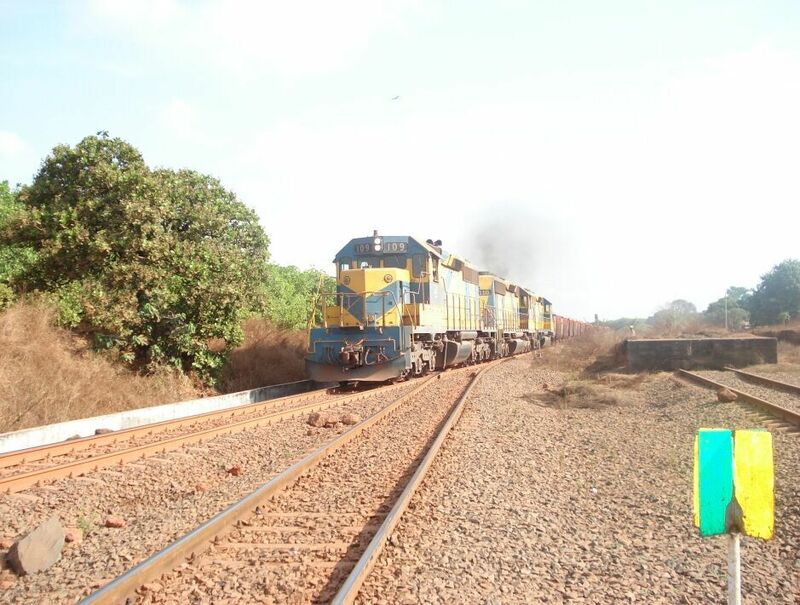 As part of the Simandou South project, the future multi-purpose and multi-user “Transguinean” railway which will transport ore from the mines to the deepwater port (prefecture of Forécariah) will boost trade within the whole region and sectors of the traditional economy such as agriculture, horticulture, forestry and aquaculture. The Simandou South project and its direct and indirect benefits – including job creation, outsourcing and supply – have the potential to double Guinea’s GDP. Training being another lever to support the activities of local SMEs, a program of assistance to local entrepreneurs has been set up with the assistance of the International Finance Corporation (IFC, World Bank group). An important agreement allowing the joint-use of infrastructure of the National Agency for Development of Mining Infrastructure (ANAIM) was signed on June 24, 2015 in Paris. The infrastructure includes the Sangarédi Kamsar railway and the port of Kamsar in the Boké region. Their use will now be shared by the Guinea Bauxite Company (CBG), controlled by the government of Guinea and Halco (Rio Tinto Alcan, Alcoa and Dadco), the Dian Dian Bauxite Company (COBAD), controlled by Rusal, and Guinea Alumina Corporation SA (GAC), controlled by Emirates Global Aluminum (EGA). The infrastructure contract between the Guinean State, ANAIM and GAC, which details the rights and obligations of GAC regarding the access, use and extension of existing infrastructure.